For many parents, raising children seems pretty manageable until the teenage years. Then fear, confusion, frustration, and lack of understanding begin toinvade the hearts and minds of these once-confident parents. The "normal" changes of adolescence seem to be nothing but abnormal to parents who begin to feel like helpless bystanders. But parents don't need to feel alone or paralyzed by these feelings. 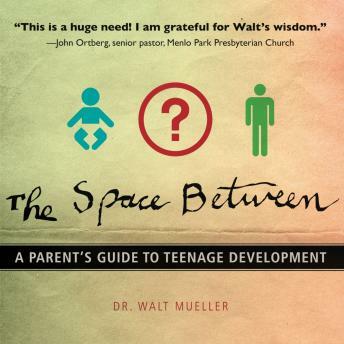 For nearly twenty years, Walt Mueller has studied adolescents and the culture they're surrounded by. His expertise was put to the test when his own children became teenagers. Now he's bringing wisdom from research and his own experience to help parents through the tumultuousyears of adolescence. With empathy and practical tools, parents will address several important issues, including the questions: How can I begin to facilitate a smoother adolescentperiod for my teen? How can I begin to break through the walls ofconfusion, fear, frustration, and misunderstanding? How can I be a positive and proactive bridgebuilderinto the life and world of my teenager?